Are you concerned about the impact that your roofing business is having on the environment? If this is a source of worry for you, you should know that these feelings aren’t out of bounds. Our planet is in danger, and it’s important that we do what we can to prevent a catastrophe. 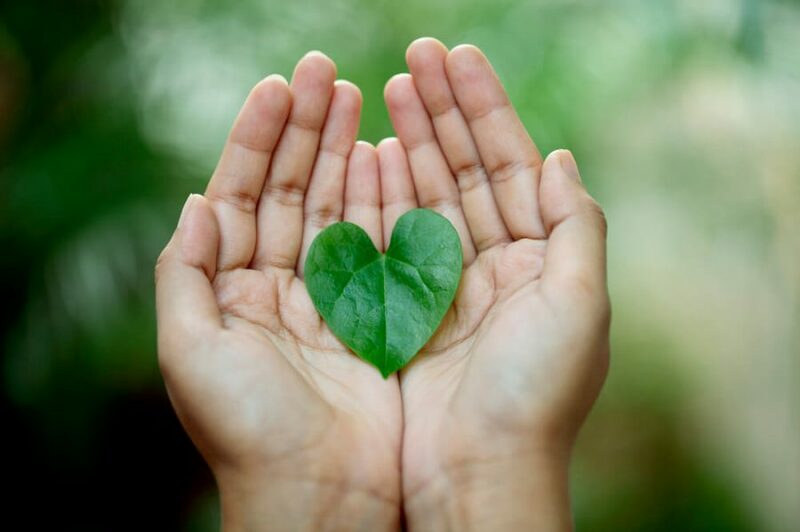 You can do your part by making sure that your business is more environmentally friendly. If you follow these practices, you’ll be able to see real results. If your business isn’t using digital documents right now, you should be. 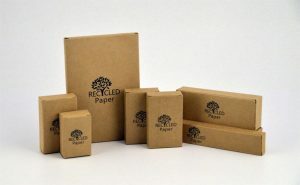 Paper waste can definitely take a toll on the planet. If you’re able to go entirely digital, you’ll be able to reduce your environmental impact in an instant. You may not want everything to be digital. In some cases, it’s smart to have paper copies of documents as well. That said, you should always go digital when it makes sense to. Start looking at the documents you send customers. See how many of these documents can be digital-only. 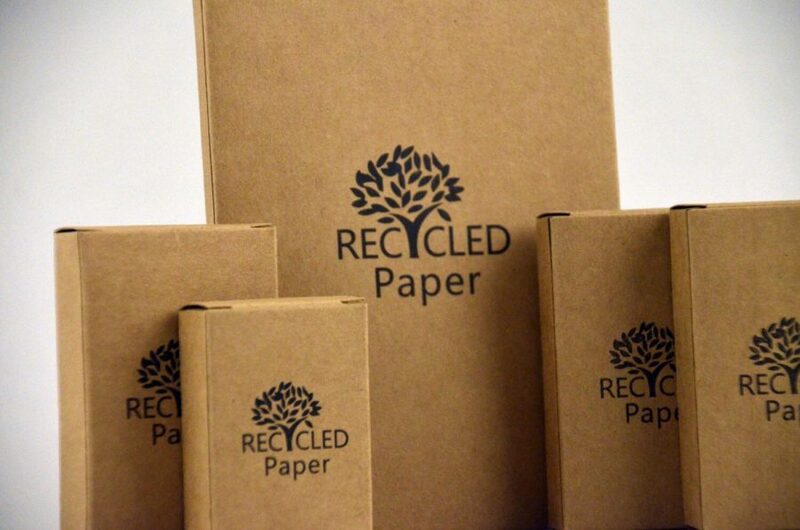 You’ll be surprised when you see how much paper you’re actually wasting. 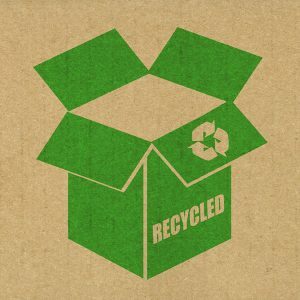 Is your business recycling? Roofing companies produce a lot of waste that can be re-used and recycled. You’re not going to want to toss this waste away. You’ll want to recycle whenever it is possible to do so. Of course, you aren’t going to want to limit your recycling to roofing jobs. You will also want to recycle in other scenarios. For example, if you have an office, you’ll want to make sure that people in your office are recycling. You’ll want to make recycling easy for your employees. If it’s not a hassle for them to recycle, they’ll be far more likely to do what you want them to do. Are you keeping your office’s lights on after work is done for the day? The longer you leave your lights on, the more power you are going to consume. You should avoid this and shut lights off when they don’t need to be on. You should also take a look at the light bulbs that you are using. You may want to switch to using a bulb that is more energy efficient. There are many different options for light bulbs, and you should be able to find something that works very well for you. 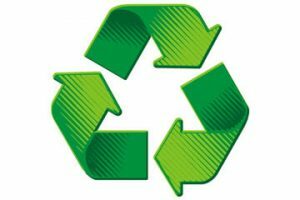 You’re not going to be able to use recycled supplies for all of your roofing projects. However, you can start using recycled materials more frequently. If you make a point of using supplies that people have recycled, you’ll be able to dramatically increase your environmental impact. There are places that specialize in selling recycled supplies and materials. You should take a look at some of these companies to see if any of them sell supplies that you would be able to use. 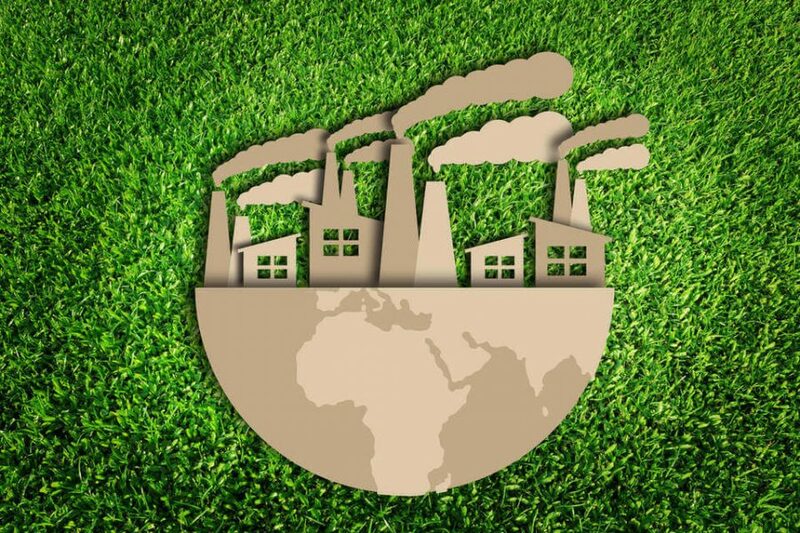 There are so many different things that you can do that will help to make your roofing business more environmentally friendly. 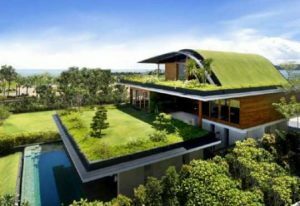 There are a few things you’ll want to know when it comes to running an eco-friendly roofing company. This includes the basics, marketing your company and things of that nature. With that said, continue to learn more about running a roofing company and then you can decide whether or not you should launch a roofing company. There are a few things you’ll want to do before you go out on roofing jobs. First, you’ll want to figure out what you want your business called. Choose a name that people can easily associate with roofing and try to choose a name that is catch and memorable. Once your name is chosen, you’ll want to register it. After registering your company’s name, it’s time to choose what business structure you want. Do you want to work as a sole proprietor? Do you want to be a limited company or a partnership? Figure this out and then make your choice. Finally, you want to register your roofing business. This is not the same as registering the name if your company. Don’t worry though because registering a business is very easy and straightforward. After your roofing company is launched, you’ll want obtain liability insurance. This is important because if something happens while you’re on the job, then you could be on the hook for damages. However, if you have coverage, then your insurance can be used in the event something goes wrong on the job. If you are going to hire employees, then you’ll want to get worker’s compensation coverage. If your workers are injured on the job, then they may be entitled for compensation and if you don’t have worker’s comp, then you’ll have to pay out of pocket. With worker’s comp, your policy will be used to cover wages, medical costs and other costs that an injured worker might be entitled to. During the cold winter months, the roofing industry tends to become slow for roofers. This means you’ll want to create a marketing plan for both the in-season and off-season. During the off-season, you could offer services such as snow removal from roofs and gutters and things of that nature. Also, it’s a good idea to save money and put it off to the side for tax purposes. 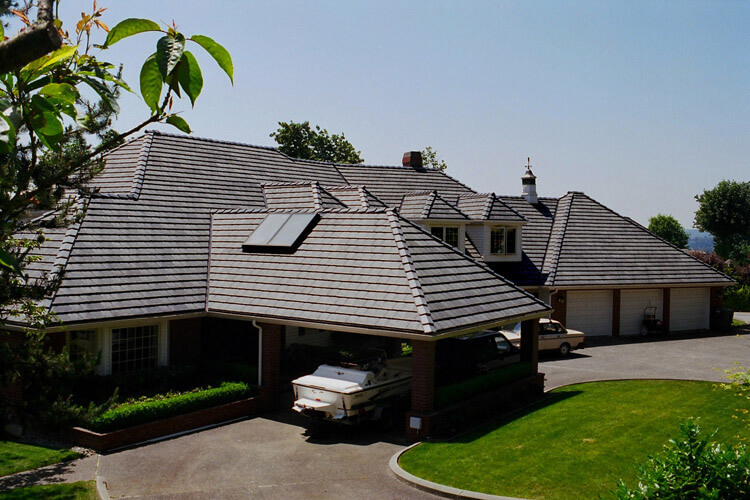 As for the busy time of year, you want to heavily market your roofing services. Use social media and videos to promote your company and ask customers to leave you reviews after you have done work for them. The more people spread the word about your business, the more customers you will get. When it comes to running a roofing business company, you want to choose a catchy name for your business and then you want to register both the name and the business. Don’t forget about getting liability insurance and worker’s compensation coverage if you plan on hiring employees. All you have to do now is keep the above info in mind. Before you know it, you’ll be running a successful company. Do you have concerns about the impact your CCTV business is having on the environment? These concerns are valid; we all need to do our part to avoid man-made climate change. 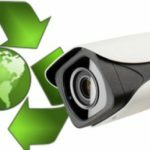 It’s likely that your CCTV business can take several steps to be more environmentally friendly. Businesses tend to consume quite a bit of energy. It’s likely that you can reduce the amount of energy that you consume by making a few simple changes. Take a look at your current energy usage. Evaluate your methods and see where changes can be made. You don’t have to overhaul your entire business in order to make these kinds of changes. In many cases, minor changes can have a big impact. Even if a specific change won’t do a lot on its own, it can influence your total energy output when it’s combined with other changes. How much waste does your company currently produce? If you’re responsible for a lot of waste, you’ll want to evaluate your habits and see what you can do to fix that. If you pay attention to why you’re producing so much waste, you should be able to come up with a lot of different suggestions. There is no way to avoid produce waste completely. Still, there are a lot of things that you can do that will lower the amount of waste that you’re creating. You should also do your best to recycle whenever possible. When you’re purchasing products from suppliers, you should take the time to see how green these suppliers are. If suppliers have environmentally friendly practices, you’ll want to try to work with them. It’s worth spending more in order to work with green suppliers. It might take more time to find the right suppliers to work with, but these efforts will certainly be worthwhile. Since an increasing number of businesses are trying to go green, you should be able to find a number of options. If you don’t know how to make your business more environmentally friendly, you should see what the experts have to say. It’s likely that you’ll find plenty of recommendations that way. You should always aim to follow their advice when it makes sense for you. Seek out advice from a range of sources so that you’ll have plenty of options. People listen to experts for a reason. There is a wealth of advice available, and you should aim to follow that advice when you can. You may want to look at advice that is specifically targeted towards business owners. Feedback like this might be especially relevant to you. 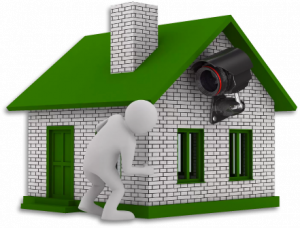 There is a great deal that CCTV businesses can do to be more environmentally friendly. If you own one of these businesses, and you are ready to make some positive changes, you’ll want to consider the suggestions above. Little by little, you’ll be able to reduce the carbon footprint of your business. A growing number of consumers who care about the world are wanting to do business only with companies that share their values. Some are even willing to pay extra for the services and products of such establishments. 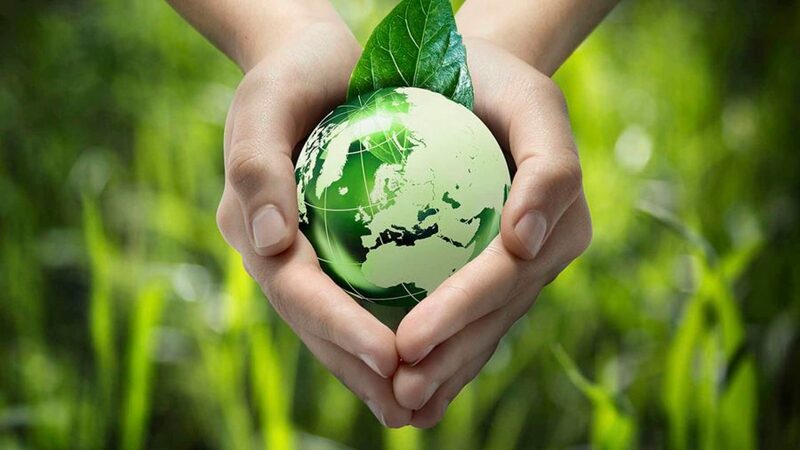 If you want to be a good corporate citizen and steward of the Earth, then keep reading for a number of ways you can improve your company’s branding and standing in the world by learning how you can make your fire risk assessment company more environmentally friendly. The first and easiest thing you can likely do is to start recycling the waste that your business generates. 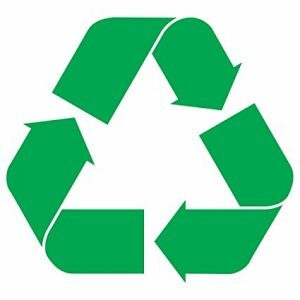 Put out recycling bins throughout your work areas in order to collect plastics, paper, and anything else that can be refurbished or repurposed. Even outdated electronics should be disposed of properly so that their circuits and components don’t leak mercury into the soil and water at local landfills. Since your business likely includes a lot of driving vehicles to and from the clients who hire you for fire risk assessments, you either have employees driving their own vehicles, or you have your own fleet. If you have your own fleet, try switching as many models as you can to either electric vehicles or hybrids. Not only will such cars pollute the air less, but you might also find that recharging them is cheaper than paying for fossil fuels that keep them going. A similar line of thinking would be giving employees perks or bonuses if they walk to work, use a bicycle, take mass transit, or just car share. Switching as many things as you can to a digital nature or cloud-based system is something that many businesses have already done, but even if you haven’t, there are environmental considerations to take advantage of. When everything is digital and online, it should be secure and accessible, but you won’t have nearly as much paper waste. Also, using the cloud means you’re not maintaining your own servers, which run hot and need cooling, but are also rather power-hungry in their own right. Something small yet still significant is if you switch your staff to using biodegradable cleaners. When you replace harsh toxins with natural cleaning products, you spare the environment from having those chemicals and compounds winding up in the wastewater. Some of your workforce might have to crawl around and get dirty to do the fire assessments you offer places, so you might need a space where they can spruce up a bit when they get back to your office. Use greener options for soap, shampoo, and laundry. Also look into changing the light bulbs in any locations that you have. LED and CFL lights cost more than conventional incandescent bulbs, but they are more cost-efficient in the long run since they last much longer and take a lot less power. As much as you offer other businesses and even homes fire risk assessments, why not have someone from a slightly different sector come in and do an energy audit of your own location. Just finding and then sealing cracks and leaks in your business will usually reduce your energy bill by 20 percent. Contact your utility company to see how much they charge for this service, because some honestly don’t! While you’re talking to your energy provider, see if you can get green energy from them. Anything generated via biomass, hydropower, geothermal energy, or wind or solar will reduce your reliance on fossil fuels being burned up for the power grid. Now that you’ve read this article, you know multiple ways in which you can make your fire risk assessment company far more environmentally friendly. Make this green effort a part of your branding to earn consumer loyalty and have a competitive edge over others. You’ll also enjoy better employee loyalty, retention, and hiring. Of course, the biggest thing of all that you’ll do is just help out the world everyone has to share with one another. A lot has been said about the use of polythene and how it is affecting the environment. Even though there are companies that are using approved polythene with specified microns, they are not good altogether. Plastics are not biodegradable and it becomes a solid waste in the environment. Instead, recycled packages are biodegradable. That means if they are not reused, they will mix with the soil or get consumed by nature. Every company has some specific environmental goals that they have to meet and one of them is to reduce their carbon footprint. Since it is quite difficult to control the carbon footprint in other departments, the packaging section can use recycled material to make sure that additional resources are consumed. Saving the natural resources is another goal that the companies have to take care of. This is one of the easiest ways to achieve that goal. There has been a collective effort from everyone to ensure that the environment is kept clean in every possible way. The companies and the customers alike are aware that they should stop using packaging materials that disturbs the balance in the environment. 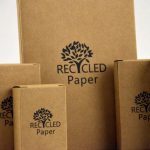 So, if you want to create a brand image in the minds of the customers, make sure that you use recycled packaging to sell your products. This will put you in the good books of the customers and they will be encouraged to buy products of your company. This is a win-win situation for you. On one hand, you will do a lot of good to the environment, and on the other hand, you will attract more customers to improve your business. One of the reasons why recycled packaging has become so popular within a short period of time is that the same packaging can be reused later. This ultimately saves the packing cost of the company. If there are plenty of used packages left in the company, they can be thrown into a compost and then reused again for further packaging needs. Packages that are labeled as recyclable packaging can be safely disposed of by the customers too instead of having to think of how they are going to dispose of plastic bags. The traditional packaging methods involved the use of plastic and when they were disposed of, they used to create a lot of environmental issues. In fact, the use of plastic and burning the plastic became a major reason why global warming was becoming a concern. But with the use of recycled packaging, the risks of global warming have reduced to quite an extent. It is quite evident that recycled packaging is here to stay. The way the companies have responded is really nice to see. When so many companies have come together to save the environment, it is safe to say that the change is happening for the better. 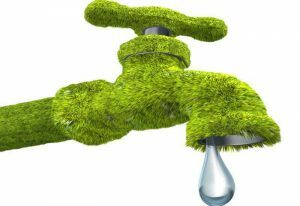 Plumbing companies in the Wirral should do what they can to be more environmentally friendly. More and more companies are carefully making decisions that will lessen their carbon footprint in the environment, and you should to. 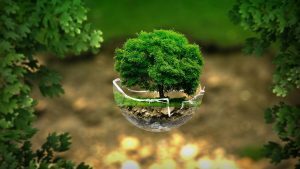 With that said, here are a few simple ways a plumbing company in Wirral can be more environmentally friendly. What kind of fleet of vehicles is your company currently using because if you haven’t updated your vehicles in a longtime, the chances are you’re using ones that are not doing the environment any good. Evaluate your vehicles and then compare other options out there before switching over from your current fleet to a newer fleet. 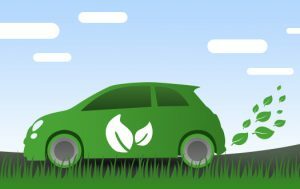 You might be surprised at how much money you can save in the long run by choosing eco-friendly vehicles. 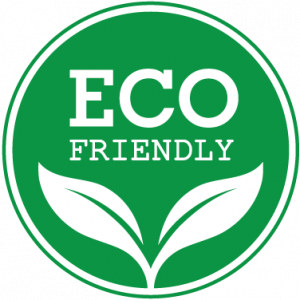 Whether your plumbing company in Wirral relies on one vehicle or you have an entire fleet consisting of dozens, it’s a good idea to switch to eco-friendly vehicles. There’s an old saying about how changes start at home. In this case, it starts at the office. Remember, you probably preach to customers about the importance of eco-friendly plumbing equipment and products, so you should make sure you practice what you preach. That being said, you can do little things such as installing energy efficient fixtures and appliances, such as installing LED light bulbs. Try to set up some sort of solar system, so you can rely on solar energy a bit more. Doing these things might not seem like a big deal, but they are. This might sound like commonsense, but a lot of plumbing companies still don’t heed the advice. Do not disturb the environment when you are on the job. Be mindful of your surroundings at all time. This can make all the difference in the world. Whether it’s you on the job site or one of your employees, do not do certain things. For example, if you have to do a bit of work in a yard, such as replacing a sewer lateral, then do not rip up the entire yard and don’t wreck nearby plant life. If possible, relocate plants and reuse any dirt. Again, this doesn’t seem like much, but it makes a big different in regards to the environment. What kind of products and chemicals are you currently using? Are you 100% sure that they are friendly to the environment? If not, then it’s time to do a bit of research. These days it isn’t hard to find eco-friendly chemicals and products. Furthermore, use tools that are not high in emission. Consider all of the tools and equipment you currently use because even replacing the smallest or most minor tools can make a difference. 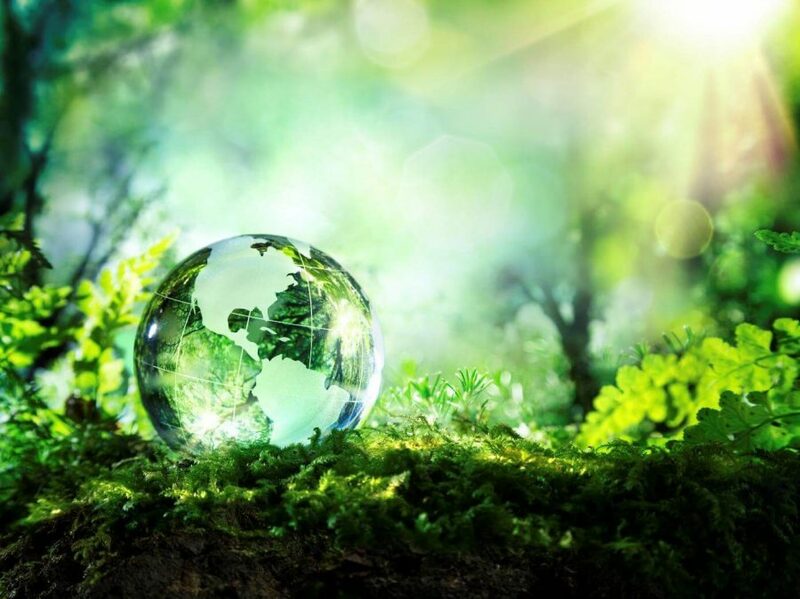 If it’s been awhile since you’ve replaced your plumbing company’s equipment, products and chemicals, then the chances are they are not as eco-friendly as the equipment out there today. A lot of plumbing companies in the Wirral and in general don’t do what they can to reduce waste. The truth is there are so many different ways a plumbing company can reduce waste, but it does take time and effort to continue to reduce waste on a regular basis. Generally speaking, if you work on a job and you believe that much of the waste can be reused and recycled or you know for a fact that it can, then do it. 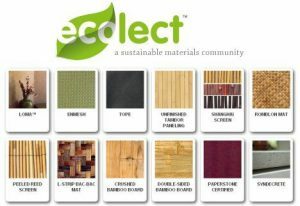 If you’re not sure what materials are recycled, then start learning about this. As time goes on, you’ll quickly and easily identify what can and cannot be recycled. Before you know it, your entire plumbing company will be collecting materials, recycling them and reducing overall waste. All of these things will make your plumbing company more eco-friendly. The chances are your company responds to many calls that require you to replace a showerhead. 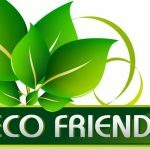 What you should do is research which showerheads are the most eco-friendly and then recommend them to your customers. In general, rain-style heads tend to be the best because they cover a larger area and don’t require too much water pressure. This is good for both your plumbing company and for your customers. Besides installing eco-friendly showerheads, keep a bunch of eco-friendly faucets on-hand or order them when customers need a new faucet because faucets are some of the most-used fixtures in a home. In fact, over 10 percent of the water usage is a result of the faucets being used. A faucet that has a restricted flow can save a family hundreds of gallons of water every single year, and in turn your company will gain a reputation for caring about the environment. While you’re at it, if your office currently isn’t using eco-friendly faucets, then now is the time to replace them with ones that are. Look into toilets that are energy efficient and install one in your office. Besides that, recommend certain toilets to your customers when they need a new toilet or when they need their current one replaced. Toilets have come a long way since their inception and within the last 10 or so years, which means they are far more energy efficient these days. This also means they are more eco-friendly. 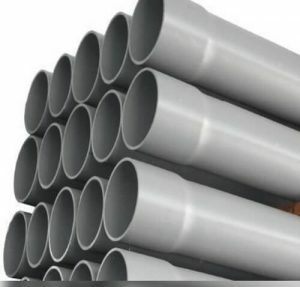 A lot of plumbing companies settle for the cheapest types of piping when they work on projects, but the cheapest isn’t always the most eco-friendly. If you’re not using eco-friendly piping, then make the switch today. Both you and your customers will benefit from this, and do check the piping in your office. As previously mentioned, you want to practice what you preach and this means doing what you can around your own office. All of the above are easy ways to be more environmentally friendly. It doesn’t matter if you’re a new plumbing company the Wirral or have been around for many years, the time to take action to becoming more friendly to the environment is now. Start implementing the above advice today. If you rent a block paving company in Kent, your focus is likely often on things like landing prospects and leads, getting your current projects done right and on time and generally making as much money as you can. You might not worry so much about being more environmentally friendly as a business, so long as everything you do is consistent and in alignment with existing rules, regulations, and laws. It might be worth reconsidering though, and for many reasons. For starters, many consumers expect and even demand the companies they work with be as green as they possibly can. Eco-consciousness is a growing personal belief that many take seriously, and they work it into their lifestyle as much as they can. Given that, conducting your business in accordance with those practices can prove a great marketing opportunity to grow your business. Secondly, on top of making money from extra clients looking for green service providers, you can also save a lot of money when you do things that are environmentally friendly. Some of the tips on this list carry their own cost-savings, and sometimes you can take advantage of tax credits, breaks, and rebates for doing some of these things. Doing block paving projects often means creating things like patios, driveways, sidewalks, and even sometimes actual streets on private property or high-end communities. Most of the time, you have to get the ground prepared for the blocks you pave on to them, and that typically means digging up whatever is there. That can be anything from topsoil and plant matter to concrete and pavement. Whatever your business disturbs along the way is likely going to need to be removed on a large scale, so think hard about what happens to it. Do you just toss it all in a rubbish bin and have it hauled off? Is it dumped somewhere? Could rocks be crushed into gravel? Could local gardeners and farmers use the soil? 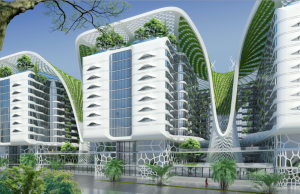 Could the biomatter be composted? Find green solutions to give all the waste a repurposed life. Your block paving business likely has a fleet of vehicles you use to transport personnel to various work sites in Kent, as well as carry supplies, tools, and equipment. Are they using gasoline still? Consider getting electric vehicles you can charge up at the warehouse or office if at all possible. For that matter, even hybrids would be a step in the right direction. Eco-conscious consumers are going to respect you more if you show up at their homes and businesses in vehicles that are obviously hybrid or electric, so if you convert your fleet, be sure you advertise this fact. Using less of the world’s fossil fuels means less air pollution. On top of converting your vehicle fleet to greener methods of power, also take the best possible care of all vehicles you do have, be they fossil fuel or otherwise. Even cars, trucks, and vans that run on gas or diesel can help the world out by getting the most miles to the gallon, which also minimizes your operating costs. Just maintaining proper tire pressure can make a world of difference, and well-maintained engines and fuel systems can also mean cleaner exhaust coming out of tailpipes. For that matter, the longer you can keep a vehicle running, the longer it will be before it ends up in a landfill, as well as all the more time you have before you have to spend money on a replacement. Does your business have a central location you operate from? It might not be open to the public unless you have a showroom or something similar, but you might at least have a place where you store everything your people use, where you all gather when not at worksites. If so, do what you can to make sure your physical location uses renewable power. If it is large enough with a roof pointing the right way, you might be able to install solar panels on top to generate your own electricity. Wind turbines might be another possibility. You can also consult your utility company to see if they have renewable sources of power you can tap into through them. Even window-mounted solar panels can be enough to recharge smartphones and tools your crews use. If you happen to get to the point of charging up electric or hybrid vehicles with solar energy, you’ve gone about as green as you can possibly get. As long as you’re looking over your office, showroom, or warehouse, check out the insulation and any points of exit and entry, be it doors, windows, or loading docks. Do all you can to keep the place airtight to minimize your utility bills and energy usage. Use ceiling fans for lower-cost cooling whenever you can. If your block paving services use natural rock, then you’re diving into a natural resource that isn’t really renewable, but you can make sure it was mined or quarried in ways that didn’t devastate the local environment from which it came. In all other cases, make sure your supplies, be it fuel for tools, adhesives, glues, and treatment chemicals, all be as sustainably developed as the possibly can be. 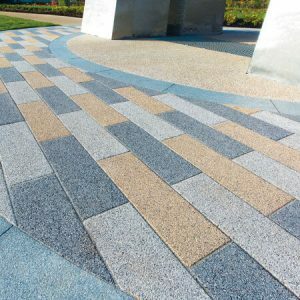 Now that you have read this article, you know 6 ways your block paving company in Kent can be more environmentally friendly. Use any of these ideas you possibly can, and even if your own business is already doing any of them, take another look at your protocols, policies, and procedures to see if there are any ways you can do them better. New ideas and technologies are coming out all the time, along with new products that help save the world everyone lives in, so be constantly on the hunt for what you can add in along the way. When you are looking to improve your business’s energy efficiency you will notice that it can be a challenge at times. 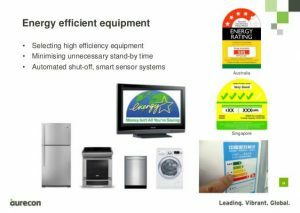 This is when you need to realize one of the best ways to improve the energy efficiency for your home or your business will be turning to the roof. By turning to the roof you may start to ask yourself what can this do to make the changes possible and how is a roofing company in Kent going to help me make these changes. 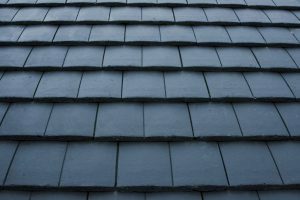 Well, all of that is about to be answered here as you will find this is going to allow you to get the right information you need to have and know why a new roof for your Kent home would make the most sense. Often the new roofs are going to be a little bit different than what you are used to seeing. This is going to make it easier for you to qualify for different ratings than what you are used to seeing. So you will like the fact that you are able to get the right feel for the home and know it is going to allow you to get the right materials for your home. A good example of this is if you have an older style of shingle for your home, it may not be as efficient as the newer models. Since this is the case, you will love the fact that when you are getting the newer shingles they are going to provide you with a different energy use rating than what you were expecting. So these new materials are going to be a great addition to the home. What else you will find is the newer roof will tend to last you a little bit longer than the older ones. For example, if you had an older home that had older shingles they tend to last only 7 years, but if you have a newer shingle roof they are going to last you ten to fifteen years, which means they will not need to be changed as often. 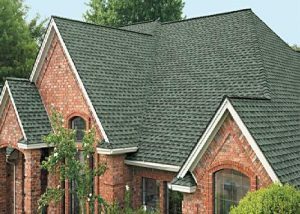 Often when you are looking at the roofing Kent companies you will find they are going to be able to provide you with a good recommendation on what you should be getting for a roof based off of the insulation factors you need to have. 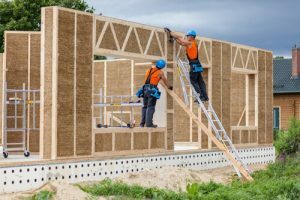 This could be anything from needing to have a roof that is going to keep your home insulated at a higher temperature, but it could also be something that will allow you to keep the heat off of the home as well. When you are looking at the roofers here, you will find the recommendations they are going to make will be based off of the experience they have with the roof and the materials. 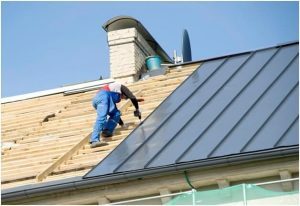 What is even better is the roofers tend to be able to make it easier for you to find the material that is going to work for you for multiple seasons. So this is going to make it quite a bit easier for you to have a great roof that will last you for multiple seasons. 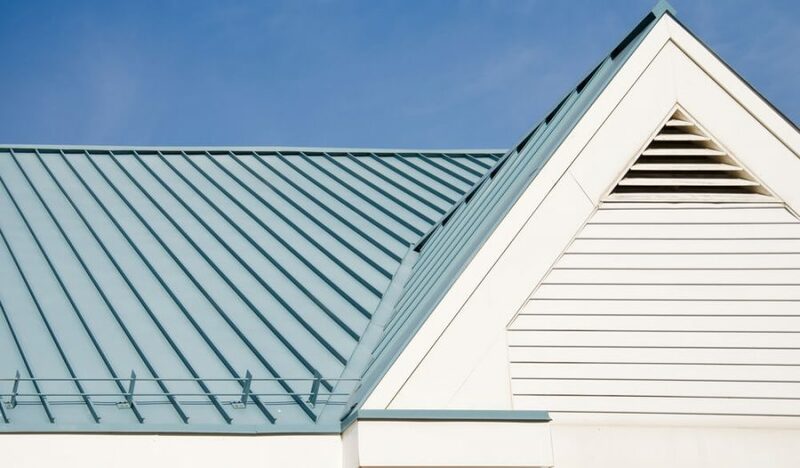 Something that you are going to find when you are getting a new roof is the materials is going to cost you a small fortune when you first get them. 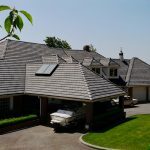 However, what you will notice is the materials that you are buying is going to make up the cost difference from the older roof you had on your home and the amount of money you will be saving on your energy bills each month. It is important when you are looking at the cost savings that you calculate how long it will take before you make up the difference. Often it will be several years before you are going to make up the difference, but you need to make sure the difference will be made in full before you end up having to get a new roof again or it may not pay off for you. Energy credits are a great option that will help you offset some of the cost that you are paying. These credits are often going to be available from the government for a different type of material that you are going to put on the roof and even the rating you are getting for the roof materials. The amount of credit you are going to get will vary depending on the material you are getting, but also based off of the area you are living in and what kind of credits are available. Often when you are talking to the roofing company in Kent they can provide you with information on the types of energy efficient credits you could qualify for. Then you will be able to get the information that you need to have on the company and know it will actually help you in getting the credits you need to have. 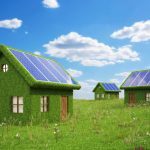 Some of the companies, to help encourage you to get the roof that will help out with energy efficiency and getting the roof to be affordable will fill out the credit paperwork for you. This, in turn, means all that you have to do is get the paperwork filed in time to get the credit on your taxes. Being able to get a new roof is a good thing. However, what you will find is it can be a challenge at times to get the right roof at times. 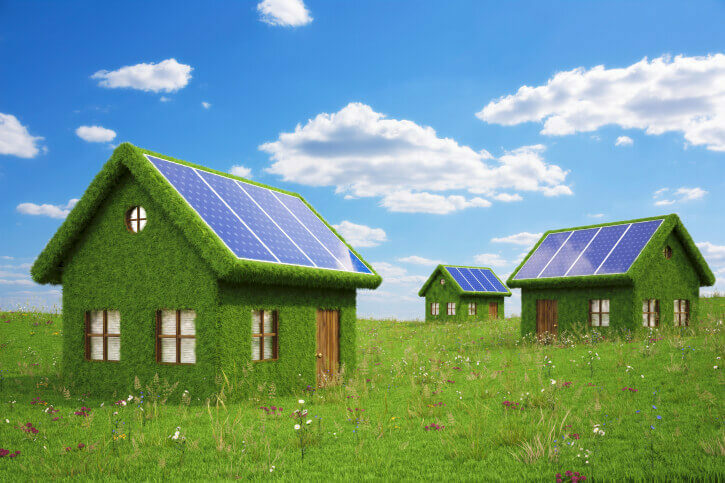 This is when you should know more about the fact that you can find out that a new roof can help out tremendously when it comes to increasing your homes energy efficiency. By knowing about how this is going to increase the energy efficiency of the home and the potential tax credits and lower utility bills it will be easy to see that yes, a Kent roofing company can help with your energy efficiency for your home or business.